Beautiful little houses located at 600m of the medieval city of Sarlat where you can enjoy many restaurants and street artists performances in the evening. Every house has a living room with a sofa/bed or a single bed, a fully equipped kitchen, a bathroom, a toilet and a private terrace with a barbecue. A tv and Wi-Fi connection are also available. You can park your car on a private parking. 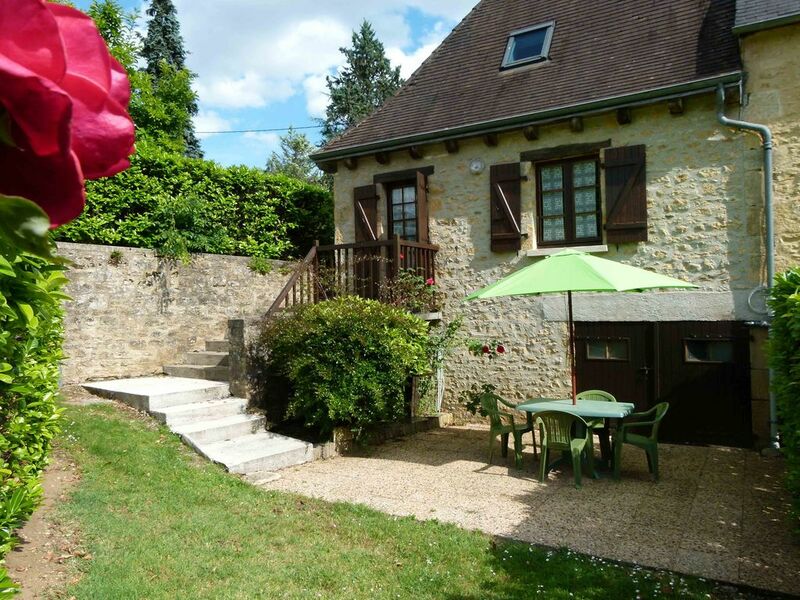 Outside you can enjoy a large swimming pool of 17 meters in a swimming pool area surrounded by a wall to keep the wind out and maintaining the safety of your children and a play area for children with a swing in a very quiet neighborhood surrounded by trees and yet very close of the center of Sarlat. Moreover there is so much to discover in our beautiful region where history has left many sites to visit and where you can enjoy all our food specialities in beautiful restaurants. My husband and I stayed for 10 nights in June 2016. The gites are nicely maintained and well equipped with modern fixings, and pretty much everything provided that we could need. The shower area in our gite was quite compact but enitirely functional and clean and the kitchen was perfect for the minimal amount of cooking we did. The bed was comfortable; the doors to the terrace area lead into the bedroom and although at first this seemed odd, it really was't an issue at all. There was only one wardrobe for storing clothes in - luckily we didn't have that much with us so that was OK, but a larger family might struggle for storage space. The pool area is lovely, nice and private, and surprisingly quiet given the proximity to the city itself, the medieval centre of which is just an easy 10-minute stroll away. There is a good selection of restaurants and takeaways nearby, and Sarlat has at least 2 large supermarkets which are easy to get to by car. Access to the gites by car could perhaps be quite tricky, but once you've mastered the blind bends and hills, not a problem! There is ample room to park off road around the back of the property, which feels very secure. Sarlat itself is a delight, and no matter how many times we went into the city we found something new to see; we found that everyone was very friendly and welcoming. Travelling in and around the area by car wasn't an issue at all, and there is plenty to see and do in the surrounding towns and villages, togehter with breath-taking scenery. We would certainly stay here again should we return to this part of the Perigord. Thank you Cathy! Thank you very much for your nice and exhaustive review of our gite and city! It was a pleasure to welcome hosts like you, so nice and polite. Please come back to us whenever you want! (Text automatically translated) only 600m from the city center or you can go to dinner, walk or go to the market.